Absorption involves separating one or more gas components from a gas flow using a solvent. First of all, a CO2and air gas mixture is produced. It is possible to adjust the mixing ratio using valves. 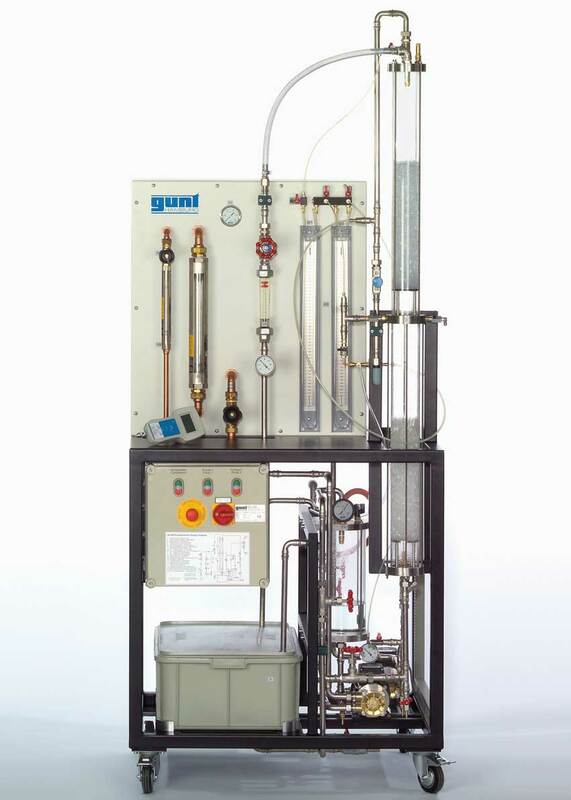 The flow rates of the gas components are displayed by rotameters. A compressor delivers the gas mixture into the lower section of the packed column. In the column, part of the CO2 is separated in the countercurrent with the solvent. Water is used as the solvent. The CO2is absorbed by the downward flowing water and the charged water is then fed from the lower section of the column into a collecting tank. To separate the absorbed CO2, the charged water is delivered from the collecting tank into a vacuum tank. As the pressure is reduced, the solubility of the CO2 falls causing the CO2 gas to be emitted from the water. 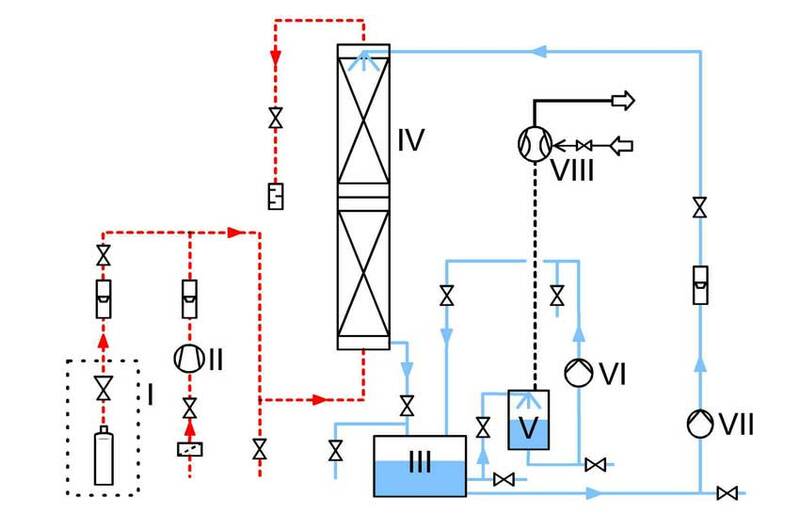 A centrifugal pump then delivers the regenerated solvent back into the collecting tank. From there, it is delivered back to the upper section of the column by a further centrifugal pump. 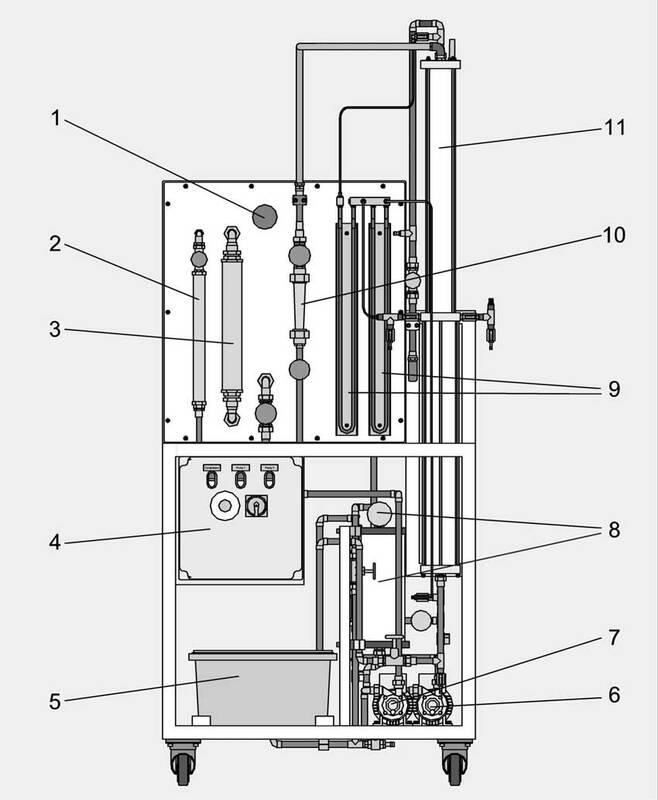 The two-section column is equipped with measuring connections to determine the pressure losses. The pressure loss in the respective sections can be displayed via 2 U-tube manometers. To evaluate the success of the process, the system includes outlets for taking gas and liquid samples. The gas samples can be analysed using the hand-held measuring unit supplied. The well-structured instructional material sets out the technological fundamentals and provides a step-by-step guide through the measurements and experiments. Site generate in 0.123 seconds.